For autumn/winter 2016 Wooyoungmi fastens her gaze onto the timelessness of the old world resurrecting a retro look captured within vintage shots in black and white. 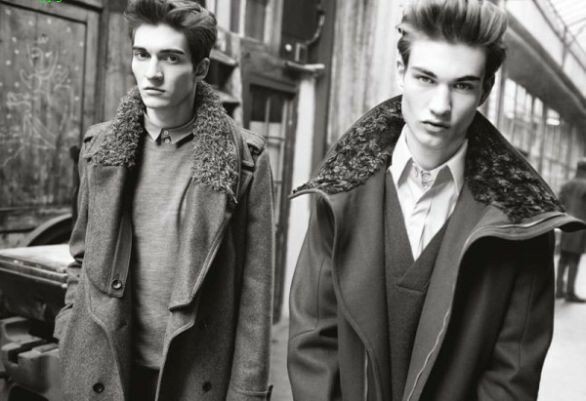 Photographed by Marton Perlaki, models Matvey Lykov and Johannes Linder star in the collection. Matvey Lykov was born 1987 in St. Petersburg, Russia, going on to debut at New York Fashion Week twenty years later and walking for some of the world’s top designers. Johannes Linder was born 1990 in Hamburg, Germany, rising to stardom as he was discovered while walking through the city’s notorious Schanzenviertel area. A fan of German hip-hop and Converse shoes, Johannes too has walked for some of the world’s best. Born 1959 in Seoul, Korea, where she attended university, Wooyoungmi launched her casual men’s line in 1988, attracting the attention of Korean and European men as she draws a close connection between architecture and clothing. Her cuts tend to be straight and graphically clean, creating a personal signature of modern simplicity enriched with details. Photos & slideshow 2016 a/w collection, Copyright Wooyoungmi.